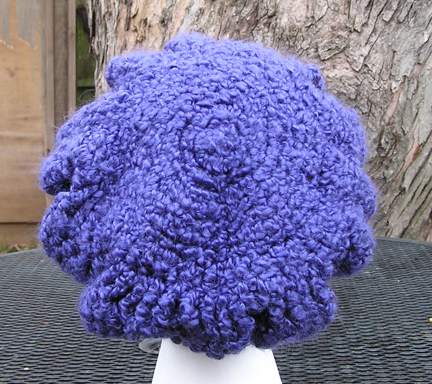 This Cornflower Hat is made with a lovely violet bouclé yarn. 79% acrylic, 20% mohair, 1% nylon.. This yarn takes on a different hue depending on the lighting. In bright sunlight it appears lighter and in incandescent light or on a cloudy day, the hue appears darker. 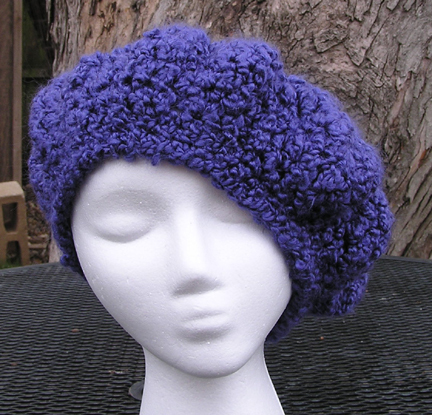 This style can be worn in a variety of positions for different looks --offset to the side, as a snood, or a beret. Fun to play with the different looks!